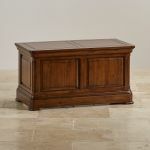 The Cranbrook blanket box is a great piece which helps add useful storage to your living room. 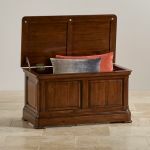 It is made from 100% solid hardwood in a beautiful dark-stained finish, and will safely store all manner of belongings. 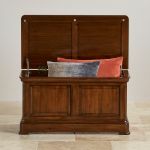 Cranbrook's design is crafted to truly stand the test of time, and has elements inspired by traditional furniture. 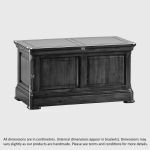 The body has rail and stile detailing, and the deep pedestal base complements the styling of the entire Cranbrook range. 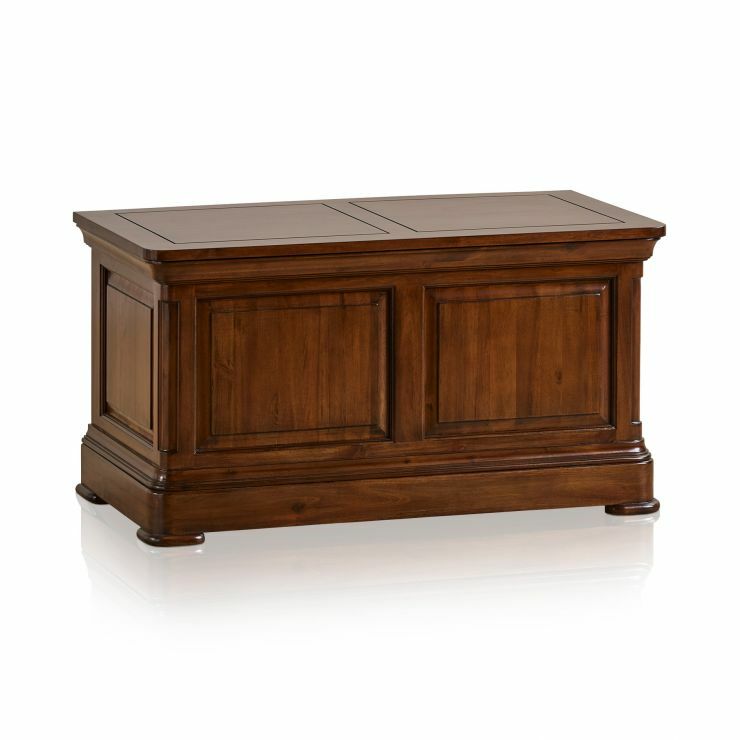 The corners are gently rounded, and the top has classically flared cornices and stylish cut detailing. 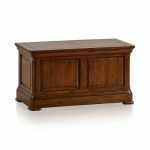 Don't forget to browse the full range to discover more matching Cranbrook pieces for your living room.